Riding in winter conditions with the wrong kit can be awful, but with some better gear to keep you warm there's no need to put the bike away over winter and you can keep building your #ride5000miles total all year. The safest thing to do in really bad conditions is not to ride at all, but that’s not an option for many bikers who either need to get to work, or ride for a living. Keeping warm is crucial, not only for your comfort, but because while your mind is occupied by thinking about how cold you are it isn’t concentrating properly on the road. Numb hands and feet will also make using your bike’s controls more difficult, which isn’t ideal for tip-toeing around in low-grip conditions. Staying warm is addressed by sticking to three basic principles: get insulated, get wind-proofed and stay dry. These three things can all be accomplished on a budget if you’re not keen on shelling out hundreds on specialist winter kit you might only use a few times a year. Insulation comes by trapping layers of air in your clothing and keeping it there, and by preventing draughts. Add layers of air by adding additional layers of clothes. If you can’t afford the latest fabric super-suit, no problem – just wear your leathers for protection with additional under/over layers and seal yourself with a windproof/waterproof outer shell. Keep several pairs of petrol station gloves handy. They might not look like much, but they could keep your hands dry in a downpour, and keeping them dry goes someway to keeping them warm, too. If you've got more than one pair of winter gloves take them both with you on long journeys in case the first pair gets soaked. Try your best to create a seal with all your kit. Make sure there are no gaps around your neck or at the ends of your arms where the icy wind could penetrate. 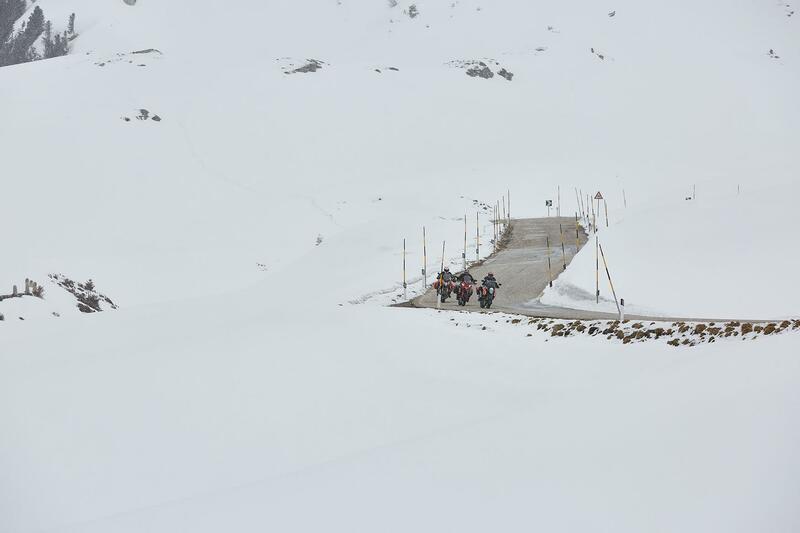 A small gap can be irritating and bloody cold on a long ride. Try to get your helmet on while you're still inside if it's raining as this could prevent fogging. While these small steps will help, if you have a commute or plan to ride for longer periods, you’ll need to get some proper gear. It’s your peripherals that will feel the cold first, so it’s worth putting effort into keeping your hands and feet warm and dry. Hands are important when road conditions demand the finest steering control. While it’s possible to use heated grips, bar muffs, silk inner gloves and even washing-up gloves over race gloves to protect digits, it’s worth spending a few quid on decent, weatherproof winter gloves. Likewise with feet. While there are plenty of stop-gap measures, it’s worth considering inbuilt waterproofing next time you buy boots. 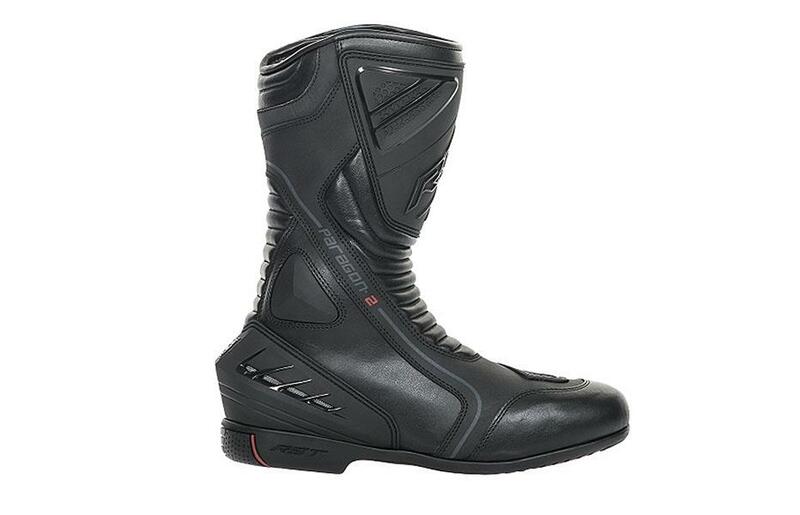 There’s plenty of stylish waterproof motorbike boots out there costing no more than the latest race boots. 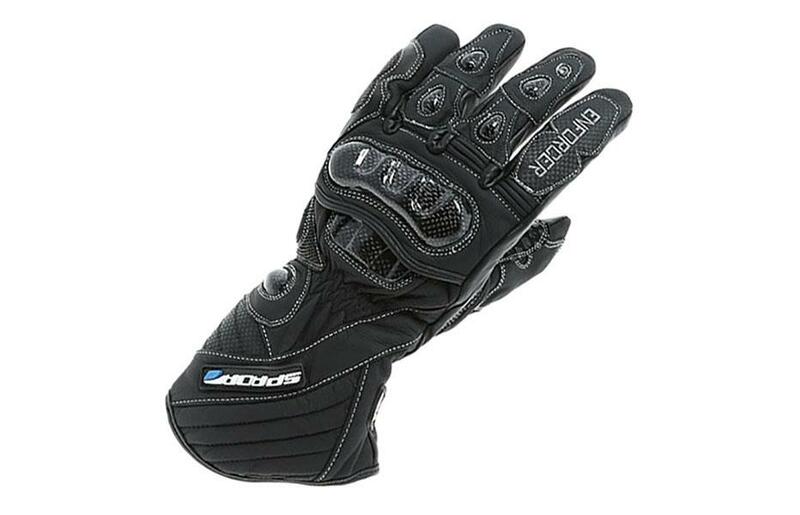 These Spada Enforcer waterproof gloves are quite thick, but an articulated thumb aids movement as does the knuckle armour sitting on its own panel. It has a Hipora waterproof and breathable membrane, a rubber visor wipe on the left thumb, Thinsulate insulation and wrist and cuff restraints. Sizes come up a little larger than most. Right from the first wear, these RST Paragon 2 boots are comfortable and easy to walk around in. They aren’t the most armoured boots in the world, but they have PU protection and an anti-twist mid-sole. The zips are sturdy and located on the inside, meaning they are kept away from the worst of the rain and the waterproofing is reliable. As with gloves and boots, there are some cheap things you can try before you commit to buying expensive motorbike jackets, motorbike trousers and suits. Apart from specialist bike retailers, there are plenty of other places to find gear on the cheap. Look for builders’ safety clothing or outdoor and angling kit in shops, markets, in catalogues and online you’ll find cheap, effective kit to keep you warm on your bike. Add insulation, windproofing and visibility for those colder, darker evenings all in one go (and for only £25) by buying a fluorescent overjacket from your local builders’ merchants. Pretty, no – but hard to top for value and practicality. Wear a ‘puffa’ jacket or bodywarmer under a (very large) outer jacket and you’re kitted for Arctic conditions. With the flood of cheap imported clothing from the Far East, prices have tumbled and £20 will score a lot of insulation. For your lower half, get a set of long johns or for even more warmth, wear a pair of tracksuit bottoms over these. You won’t get more warmth for less cash than by sticking a sheet of bubblewrap down the front of your jacket. This will add supreme insulation and eliminate chest draughts that can drop body temperature fast. If the mercury plummets suddenly while you’re out, stop at the next newsagents, buy a paper and use that instead. If these shortcuts aren’t up to the job of keeping you warm, it’s probably time to invest in some hardier gear like the stuff below. 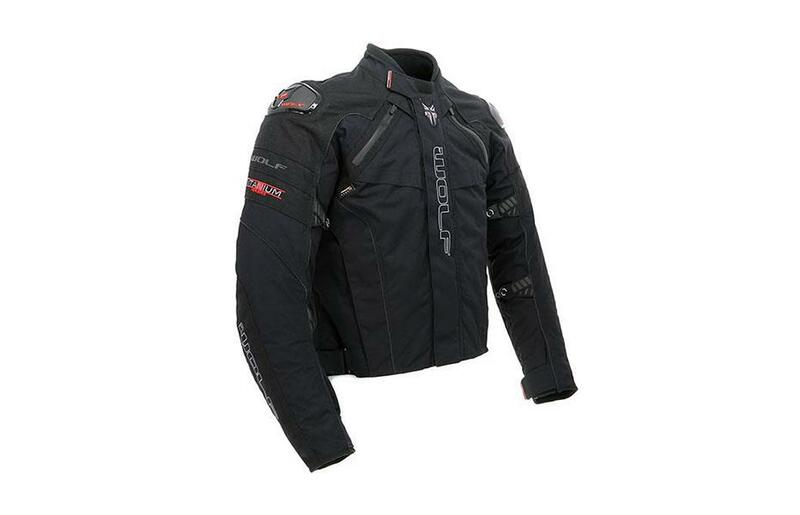 This Wolf motorbike jacket has a waterproof, breathable membrane, a Teflon coating and a removeable thermal lining. The zip vents will keep you cooler in the summer, but are crucially waterproof to keep you dry (and therefore warm) when the weather is bad. The back, shoulders and elbows have CE 2 armour to keep you safe, and the jacket zips to matching jeans which will help to keep the water out. 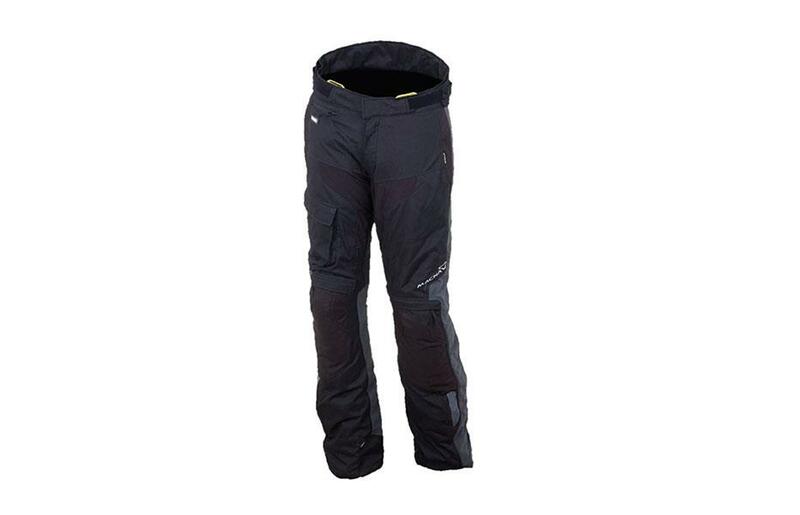 These Macna Fulcrum trousers are incredibly sturdy and well made, with a three-layer lining system, CE armour at the knees and soft armour at the hips. The nighteye system uses a similar technology to road signs to light you up in other vehicle’s headlights, too. They can zip to a matching jacket and are compatible with Macna’s suspenders, but the adjustable waist straps are affective enough really. 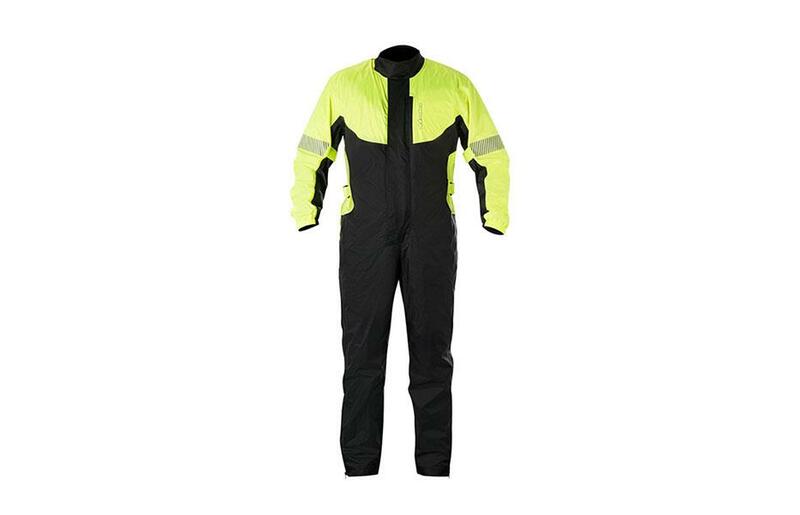 A waterproof oversuit can be a more economical alternative to this kind of gear. You can use your summer leathers in conjunction with standard winter clothing and then use the oversuit to seal the whole lot against the rain. The downside is that you won’t get the same freedom of movement and going to the loo will take a lot longer, but it works. There’s no shame in using heated gear in the cold. Some bikes come with heated grips or saddles, but there are plenty of other heated motorbike gear to keep you toasty, from gloves and vests to insoles and trousers. Just keep in mind that going too crazy with 12v accessories might fry your bike’s electrical system. Thermal socks are great, but if you suffer with cold feet on your motorbike they will only get you so far. 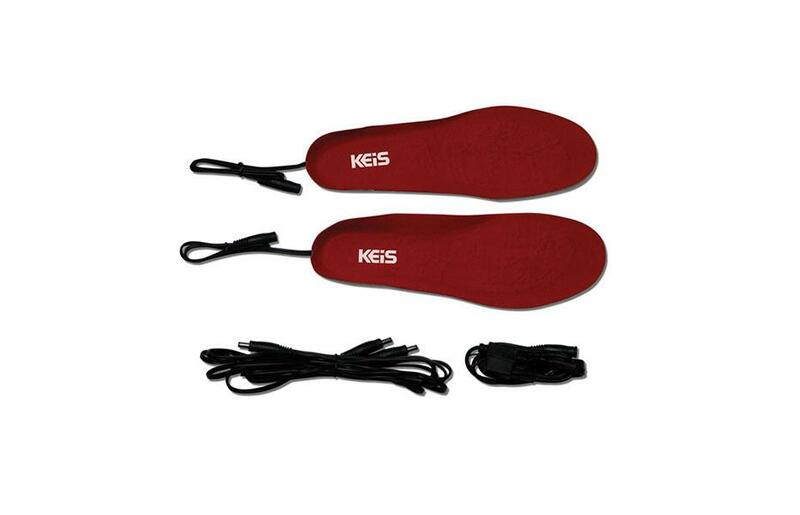 These in-soles from Keis could be the answer, they run off your bike's electrical system and will keep your feet warm no matter how bad the weather gets. It may be your extremities that feel the worst of the cold, but keeping your body warm will also help to keep your hands and feet warm. 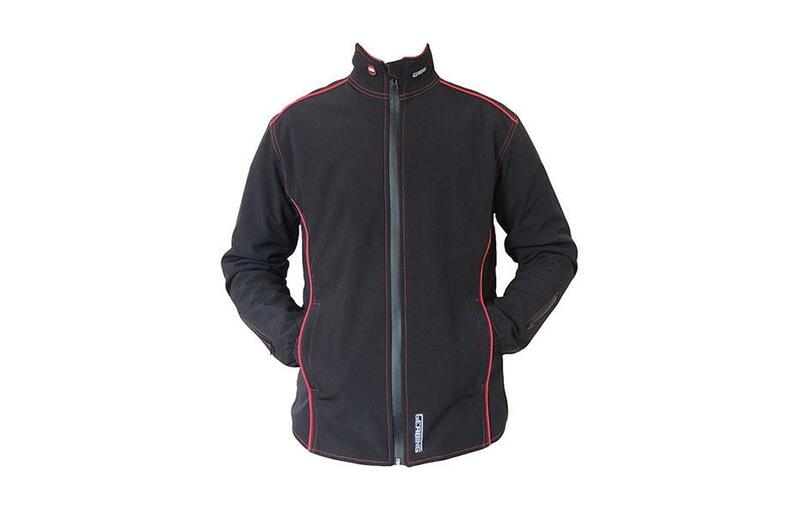 This 12v jacket liner from Gerbing will do just that, with heat pads on the chest, back, collar and sleeves. 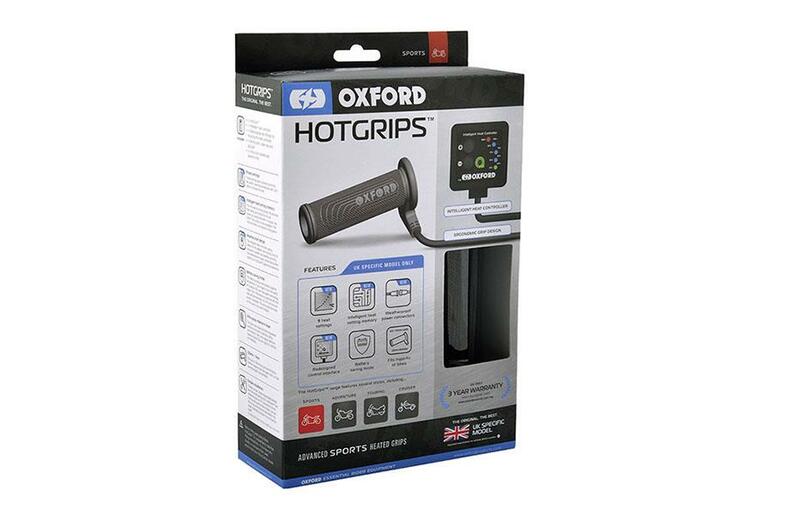 A lot of modern bikes come with heated grips already fitted, but if yours doesn't you can add an aftermarket set like these Oxford Hotgrips. The controller fits on your handlebars and is easy to use, even in thick gloves. 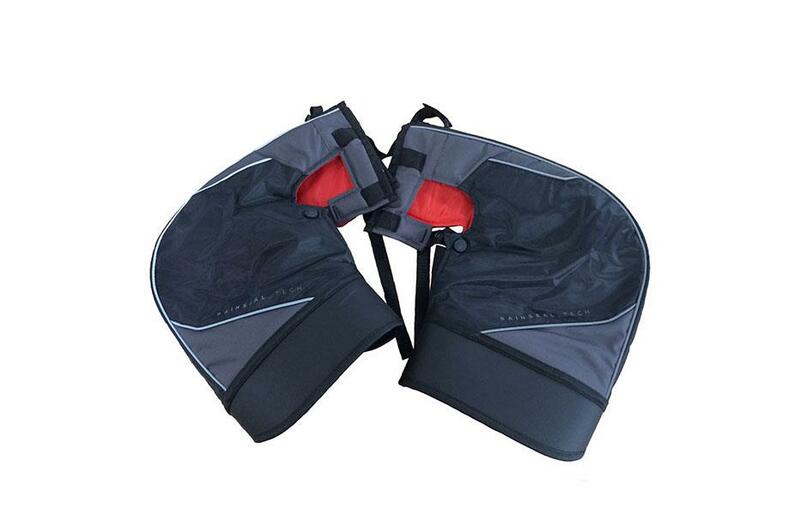 A favourite of bike couriers, handlebar muffs are a great way of protecting your hands against the elements and allow the use of lighter gloves that allow better feel and control. If you combine heated grips with handlebar muffs, you are ready to face the Arctic tundra in comfort. Some lower quality items can fold in at speed and end up actuating your control levers so stick with quality brands and read some reviews before you buy. 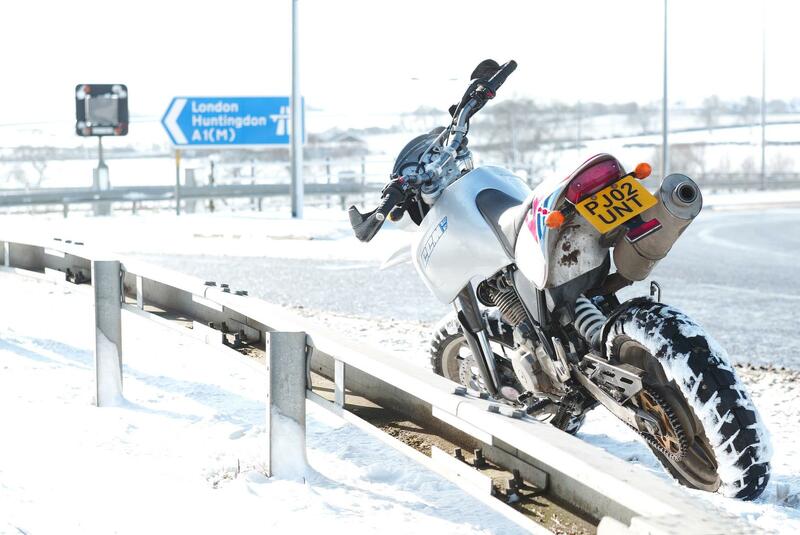 Assuming you’ve got all your winter kit sorted and you feel like Sir Ranulph Fiennes, there are still some practicalities of riding in seriously cold weather on two wheels. The theory is much the same as riding in the wet, but exaggerated even further. Do all your work in a straight line and be smooth with the controls – avoid braking and accelerating hard with lean angle. 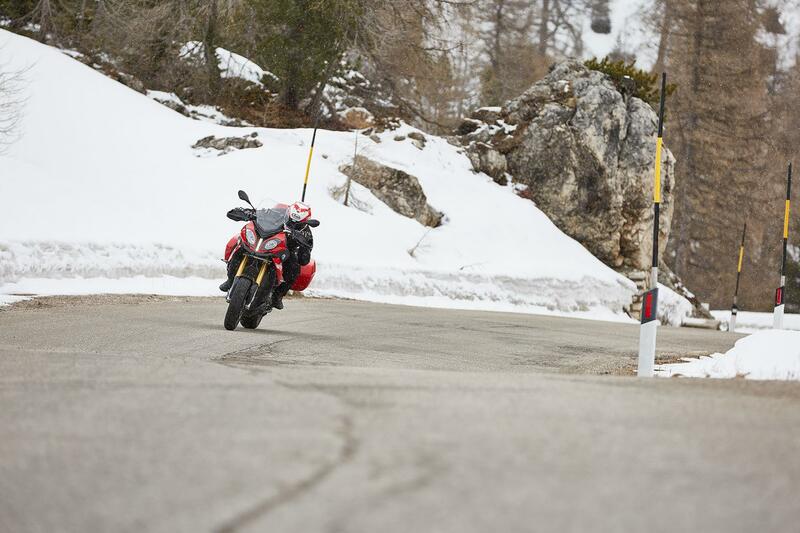 ABS and traction control will stop you slipping and sliding in a straight line. When cornering, move your head and shoulders into the corner with your inside arm bent to maximise grip and feel. When exiting corners, tap the throttle gently and wait for the weight to transfer to the rear end, then wind the throttle on progressively. Before applying the brakes, wait for the weight to transfer fully to the front end after you’ve shut the throttle. Once you’ve lightly applied the front brake and the tyre has dug in, brake progressively harder. Change down through the gears smoothly and slowly to avoid rear wheel lock-up. Try to avoid riding in it. But if you have to, stick to busy roads which will have been salted and cleared by traffic. On back roads, assume every corner is covered in black ice. Slow right down and adopt an even more cautious version of riding in the wet. Keep an eye out on traffic ahead to see if they’re slipping and sliding on ice… or have crashed. Sometimes friendly oncoming traffic will give you an early warning of ice ahead. If it all goes wrong and the rear wheel starts to slide, pull in the clutch and stop drive to the rear, it should then straighten up. 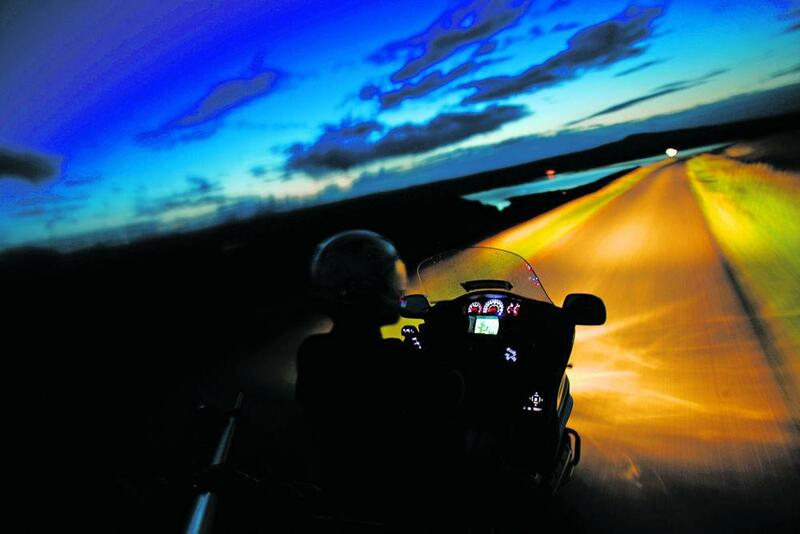 Some riders actually prefer riding in the dark. It focuses the mind and blots out unnecessary distractions. But some struggle, especially with their night vision. Don’t be too proud to wear glasses if you can’t see clearly in the dark. A clean, unscratched and clear visor is a must, as are clean headlights, even if the rest of your bike is dirty. When you’re riding on unlit country roads dip your lights briefly on the approach to corners, so you can look out for the lights of approaching vehicles. Look as far ahead as your light beam will allow, but knock your speed off as things like gravel, hedgehogs, wet patches and holes in the road will be hard to see and can catch you out. And it’s not just the dark that can be a challenge, the low sun can make things tricky too. If you haven't got a tinted visor or internal sun visor, stick a strip of electrical tape at the top of your visor to shield your eyes when the sun's low in the sky. If you use dark visors remember to pack a clear one. Night will fall quicker than you expect. 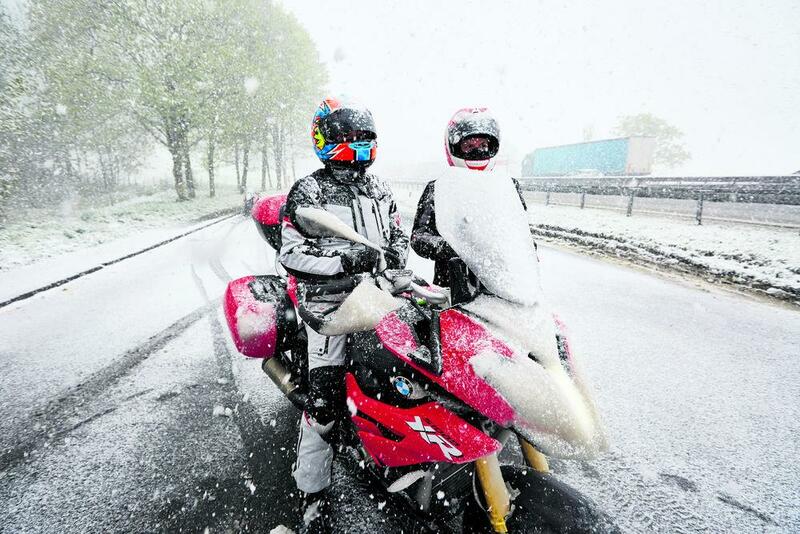 Riding in winter is tough on you, but it’s even worse for your motorbike. If you’re in a position to run a winter hack then that’s great, but even winter hacks will require some simple maintenance to keep them in proper working order. Cleaning your bike in the winter can feel like painting the Forth Bridge, it can be tough to do a good job when you know it will need doing again in a short space of time. But getting the road salt cleaned off can make a real difference to the onset of corrosion. 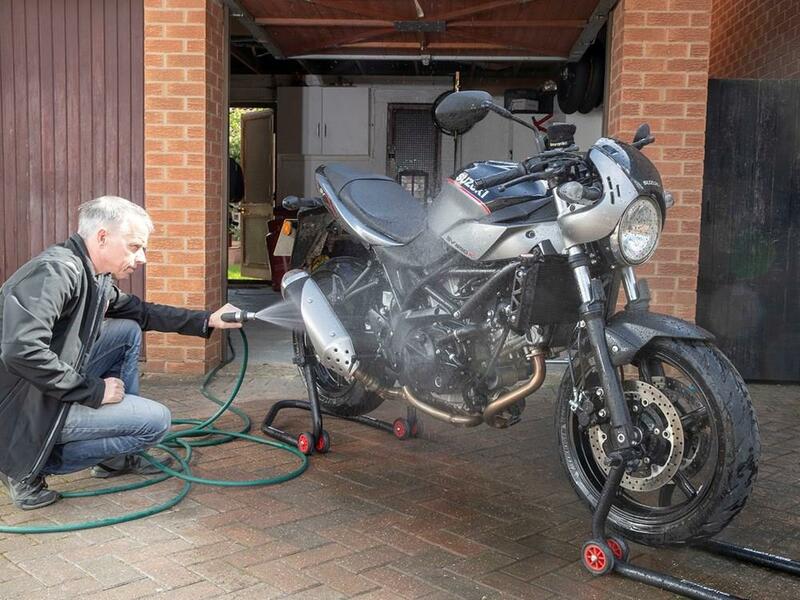 Using a protective lubricant and anti-corrosion spray will not only keep components from dissolving into a puddle, but will make the job of cleaning the bike quicker and easier. It’s also more important than ever to keep on top of your tyre pressures. As the amount of grip available diminishes, the effect of a few PSI increases dramatically.